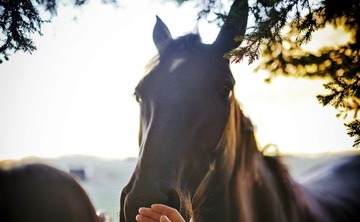 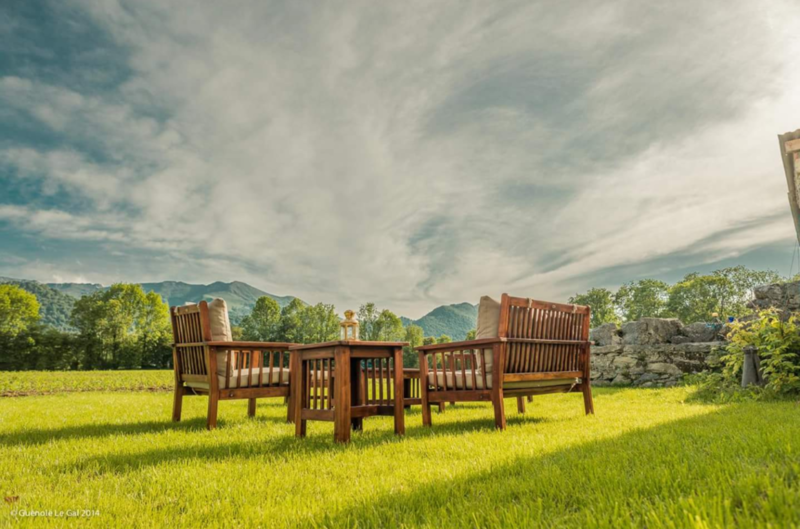 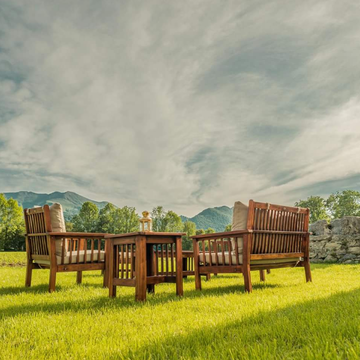 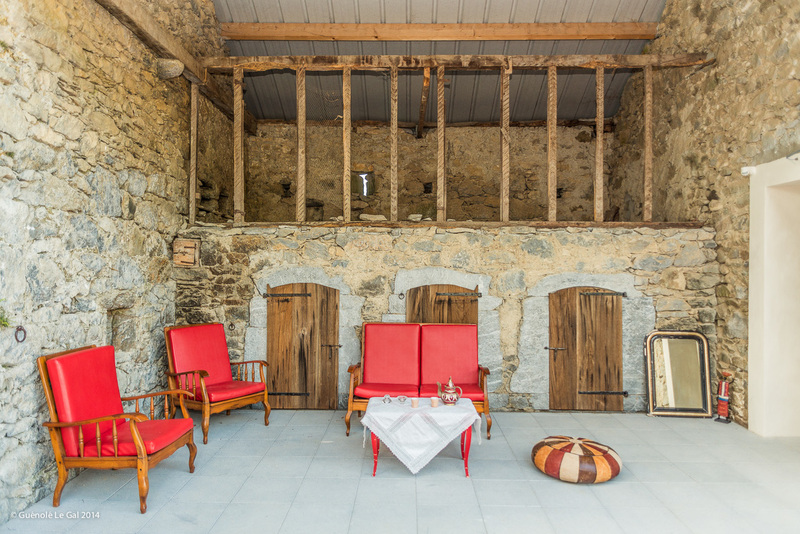 "Les Domaine Des Deux Eaux" is a special place in the Pyrenees. 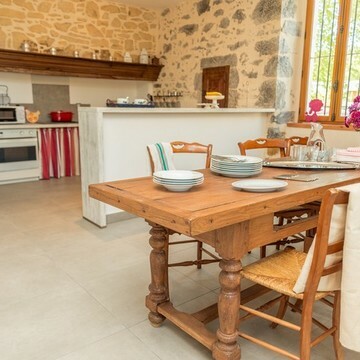 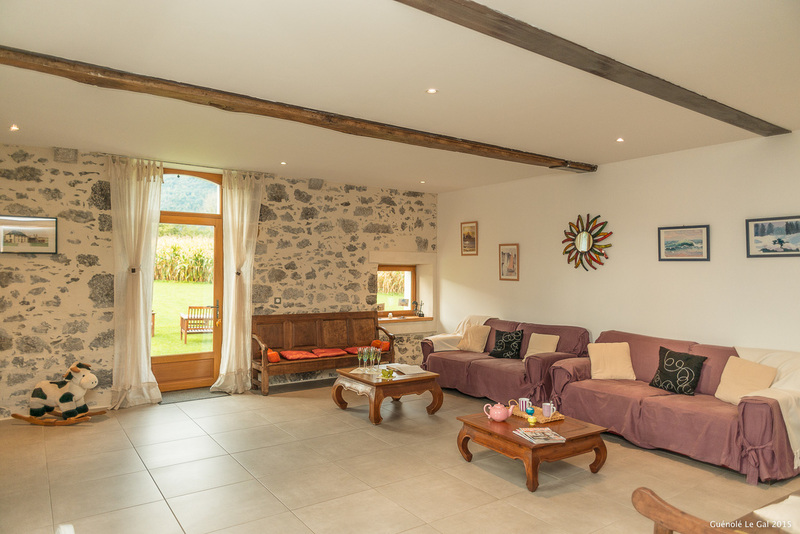 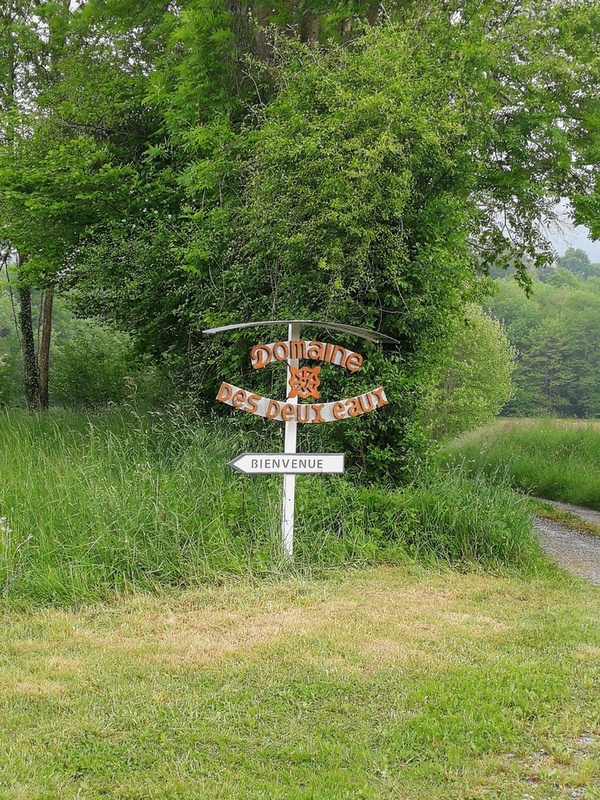 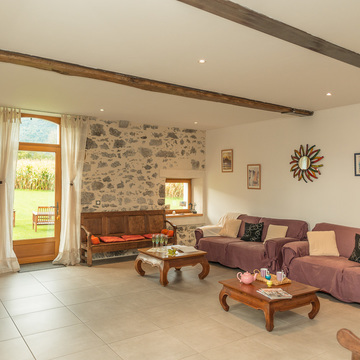 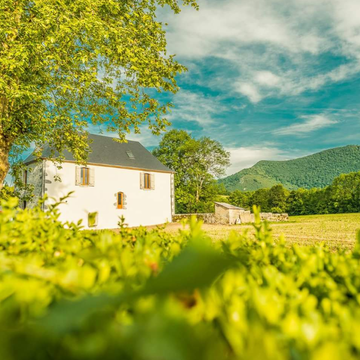 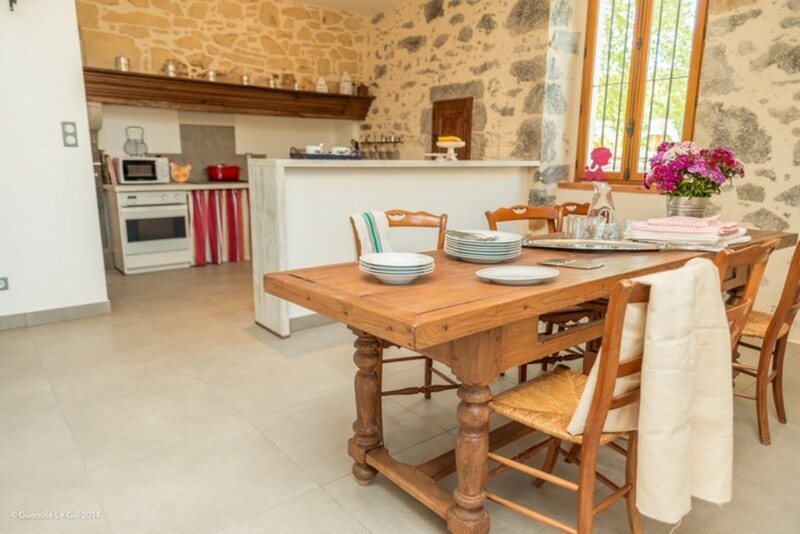 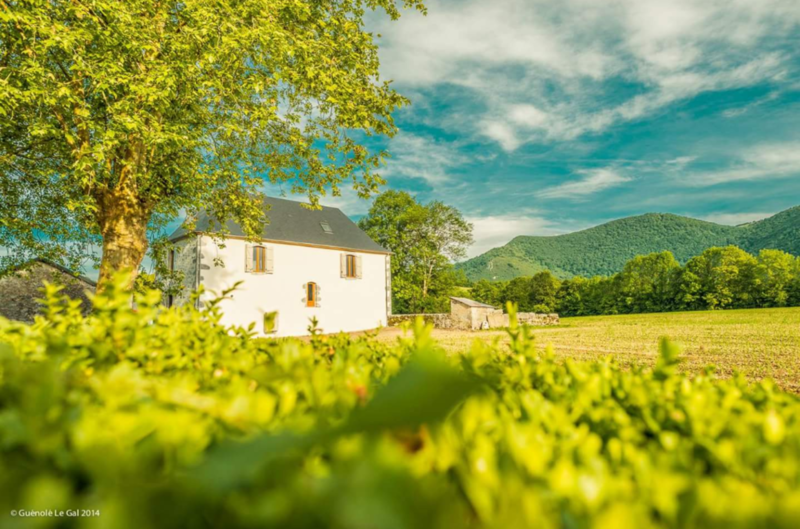 This is a beautiful renovated bearnaise property in the heart of the Pyrenees. 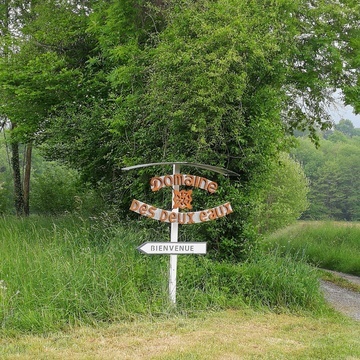 The property is situated just outside the village in private grounds. 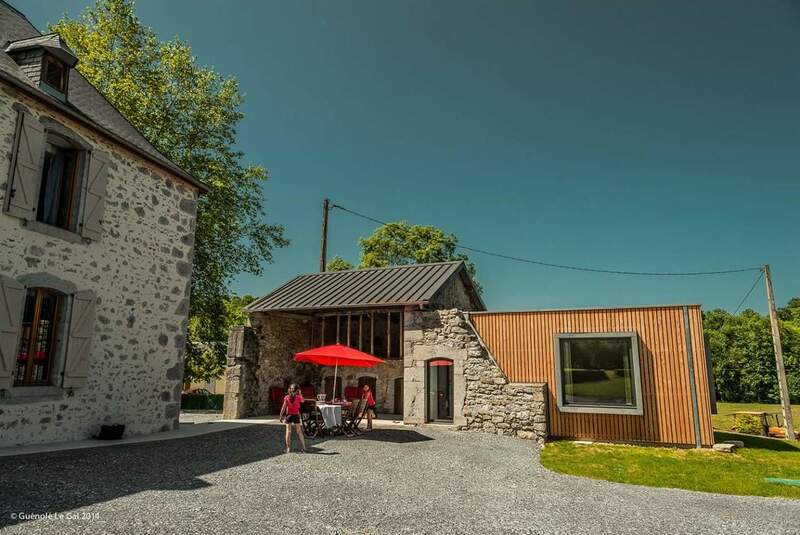 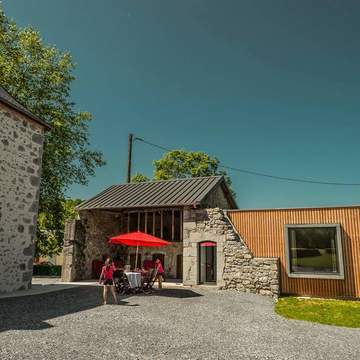 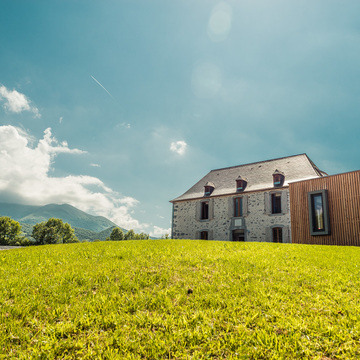 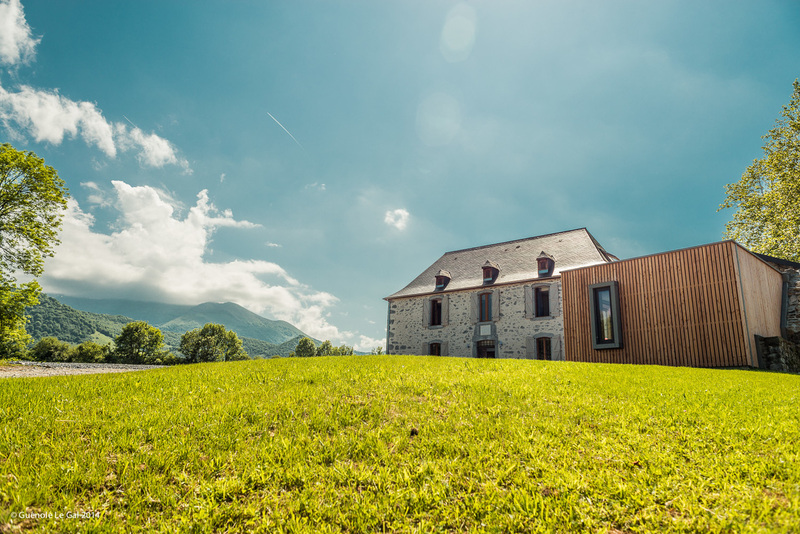 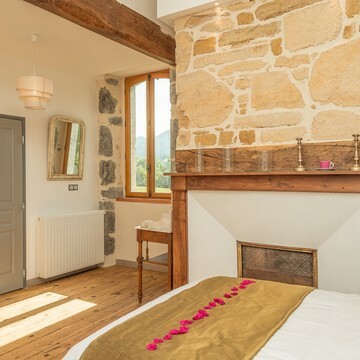 Renovated with the help of a local architect, the gite is a mixture of old and new, modern lines with traditional charm. 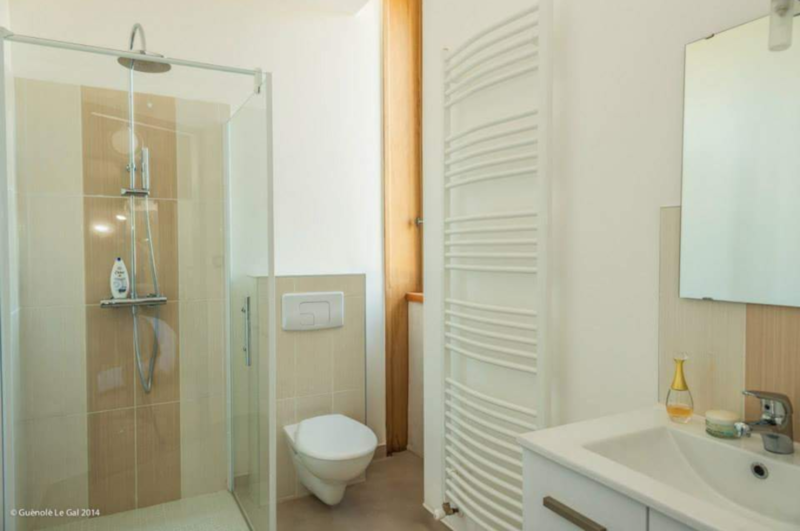 It is simple and has everything you need for a comfortable stay with privacy. 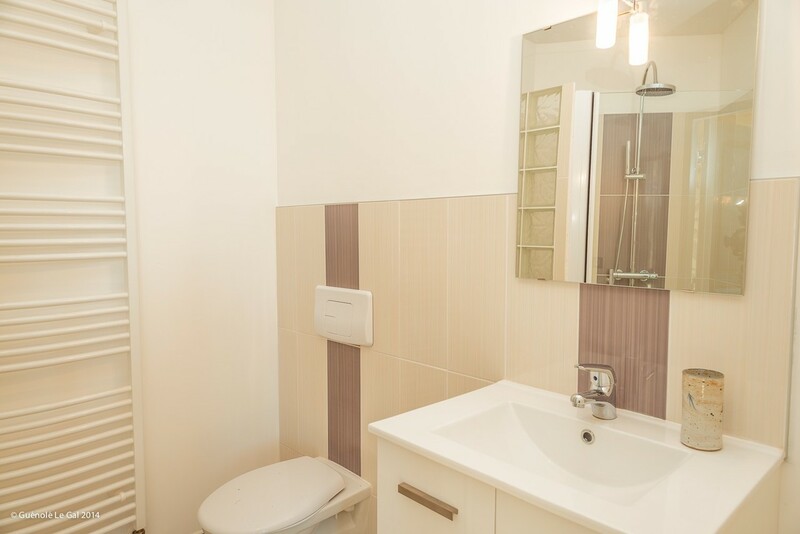 A large, open ground floor comprising of an American style kitchen, lounge and toilet accessible to those with reduced mobility. 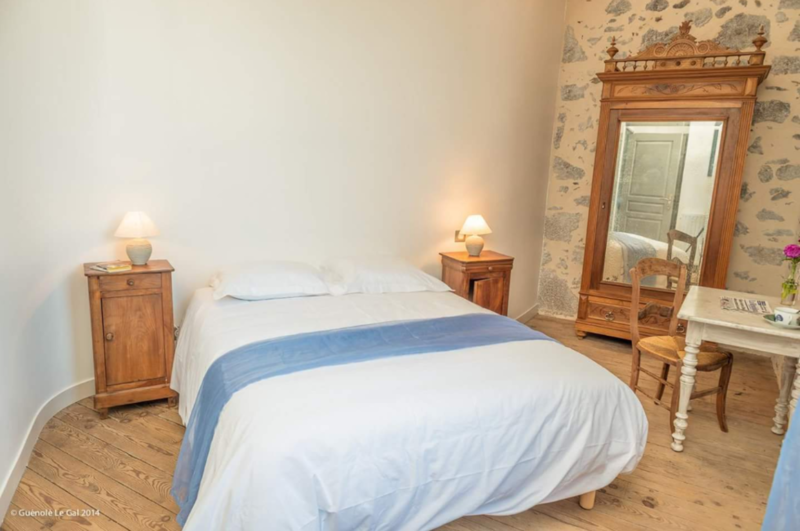 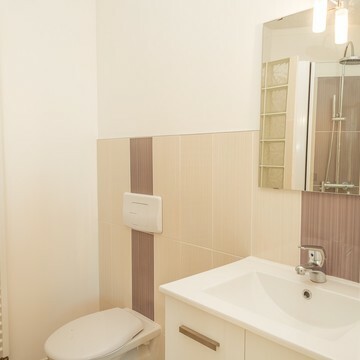 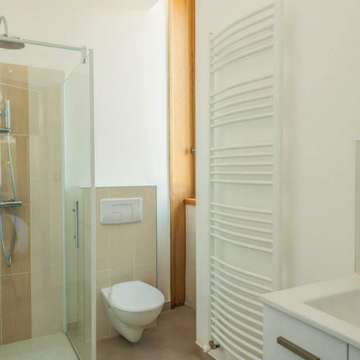 The first floor offers four well lit bedrooms with private bathrooms (sink, shower and toilet) 3 bedrooms with a bed of 140cm and 1 bedroom with a bed of 160cm. 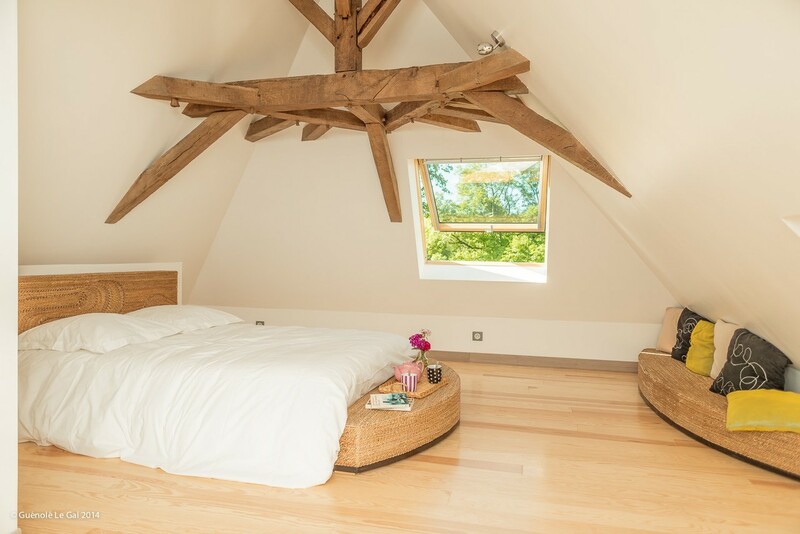 The second floor has a further two naturally lit bedrooms with exceptional carpentry and private bathrooms (sink, shower and toilet). 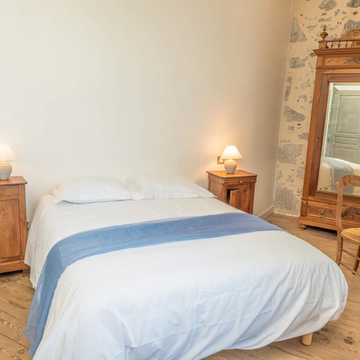 Both bedrooms have a bed of 160cm. 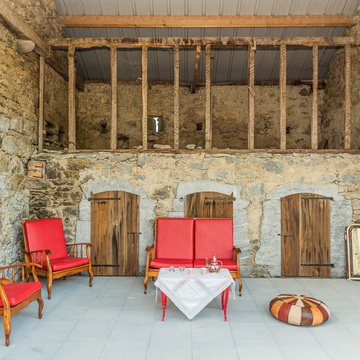 Outside, the wooden cube which is planted in the ruins, consists of a bedroom and private bathroom for a person of reduced mobility. 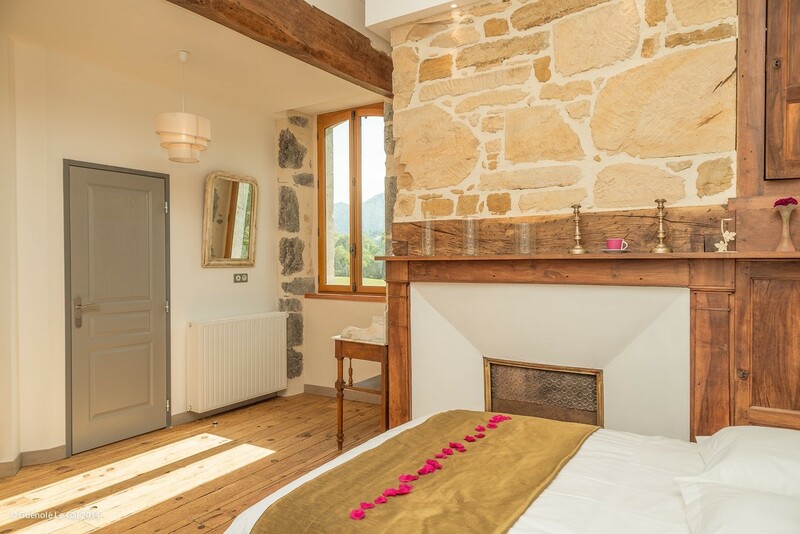 One bed of 160 cm looks out of a large bow window 2m by 2m offering an amazing view of the Pyrenees.